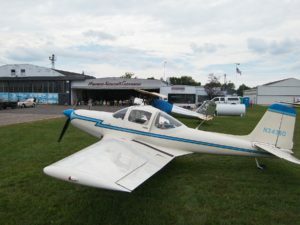 The basic design, common to both the 125 hp prototype and the 145 hp production airplane, was that of a low-wing cantilever monoplane of all-metal construction with side-by-side seating for two in a fully enclosed cabin. The main gear wheels of the undercarriage were retractable, and the tailwheel was steerable. 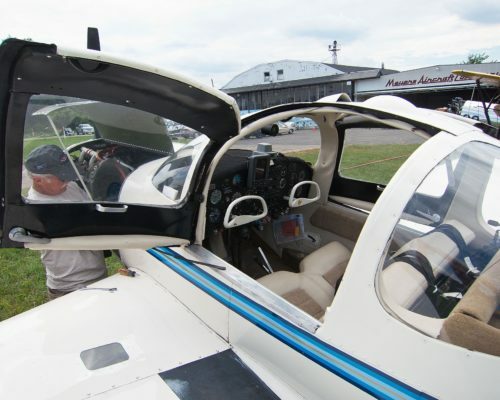 The aircraft structure incorporated a framework built up of welded steel tube which extended lengthwise from the engine firewall to the rear of the cabin, and span-wise from one undercarriage well to the other. Around this framework was a conventional, monocoque fuselage. The MAC-125 was powered by a single 125-hp engine while the MAC-145 production model had a 145-hp engine instead and a larger tail fin. For spin testing, the initial prototype was equipped with a jettisonable door, a spin chute, and a “shot chute,” which was a case of lead shot near the tail to provide an aft CG. Al Meyers was testing spin characteristics at extreme aft CG when he got into a flat spin. In his excitement he pulled all three toggles, jettisoning the door, the spin chute and the shot all at the same time, only aggravating the spin. He was seen from the ground to leave the cabin, walk out to the end of the wing, and jump up and down on it, somehow thinking that if he could get the ship into a bank the spin would break. Of course he fell off and parachuted to safety except for a broken ankle while the prototype crashed nearby. It is interesting to note that the original prototype’s steel inner structure was salvaged and used to build the second prototype. Certification was subsequently successfully achieved with this aircraft which is still airworthy and flying today. Only twenty one MAC-145s were built, each to a specific customer order, a business strategy that insulated the Meyers company from the poor market conditions that bankrupted many small American aircraft manufacturers in the late 1940s. 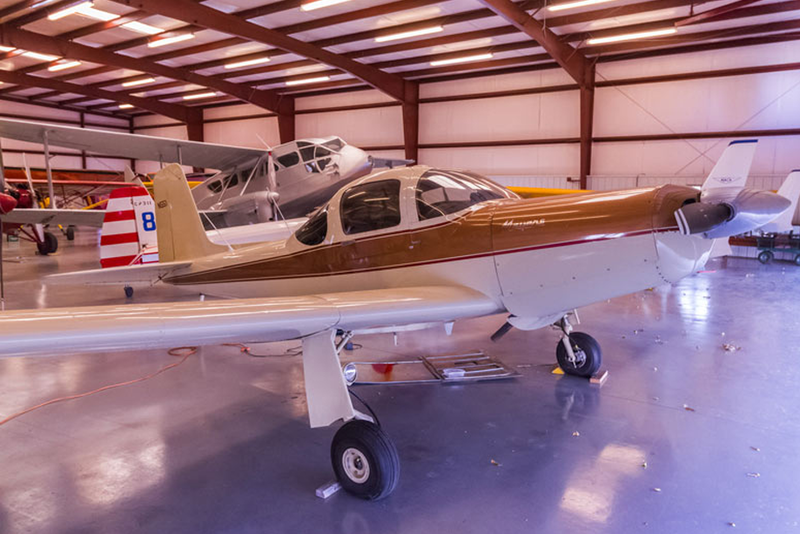 Production continued until 1955, and rights to the design were acquired by the Aero Commander division of Rockwell International in 1965 along with the rest of the Meyers company assets. The type was never produced by Rockwell, and the design again changed hands as part of the Meyers package when sold to Interceptor Corporation in 1968 and subsequently to Prop-Jets Inc in 1982. The MAC-145 type certificate was subsequently acquired by the Seminole Tribe of Florida, who flew a highly modified variant of the design in 1997 as the Micco SP-20. Examples of Meyers-built MAC-145s are still active in 2016. Original Prototypes with Continental C-125 engine.